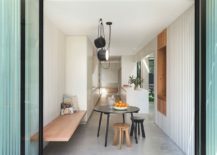 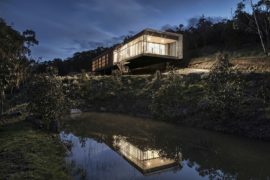 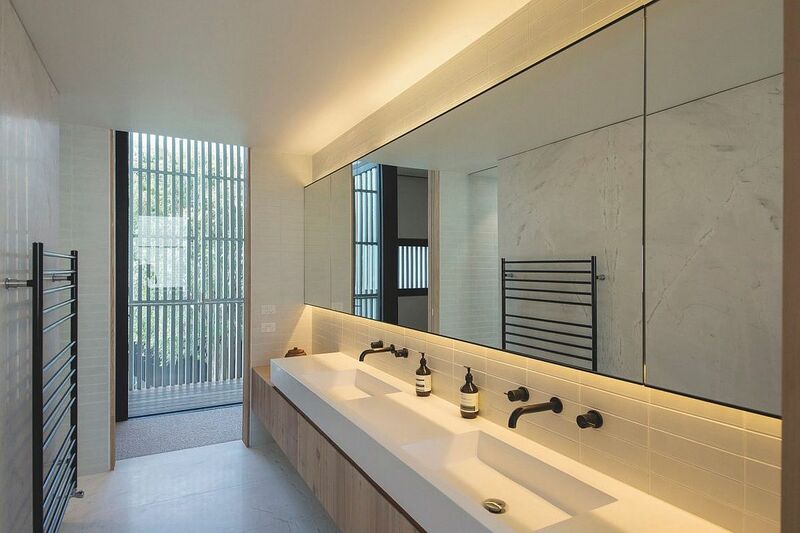 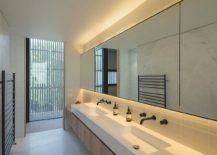 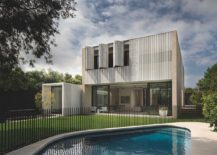 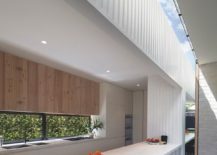 A blend of open and private spaces coupled with a combination of materials and textures, the Hiding House in Sydney, Australia is all about combining contrasts. 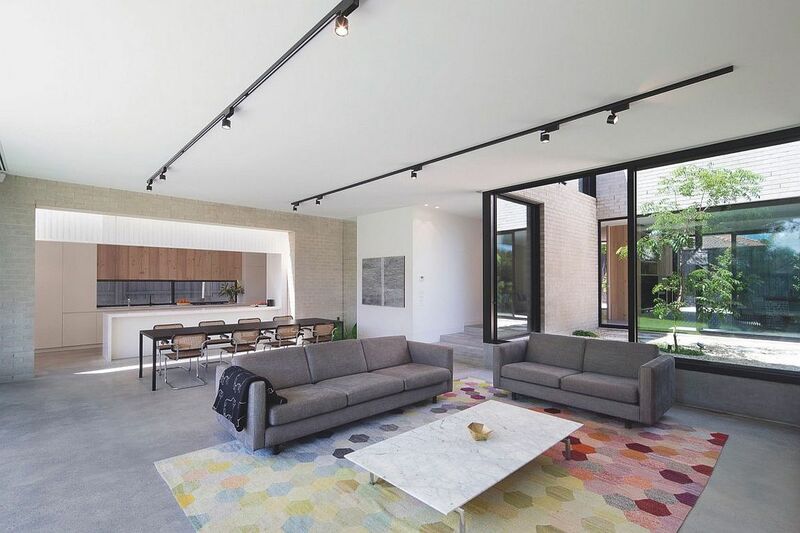 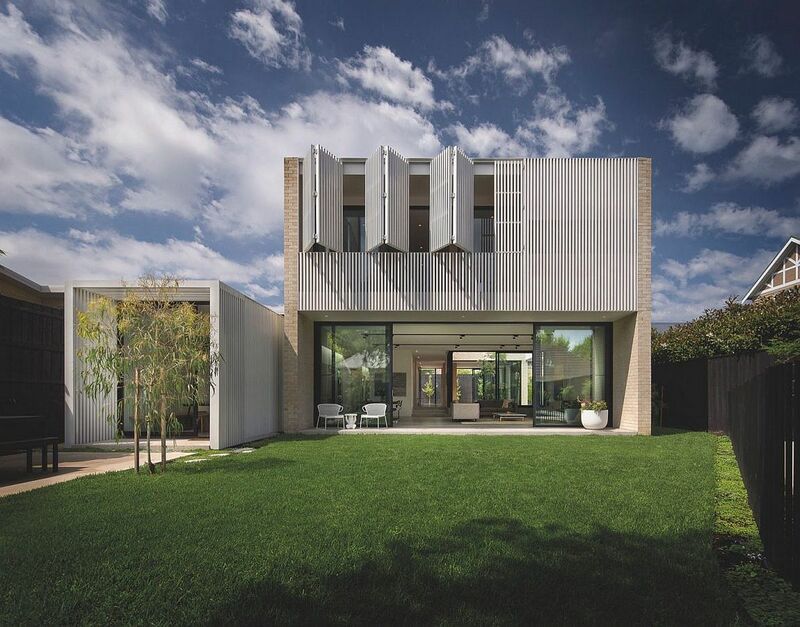 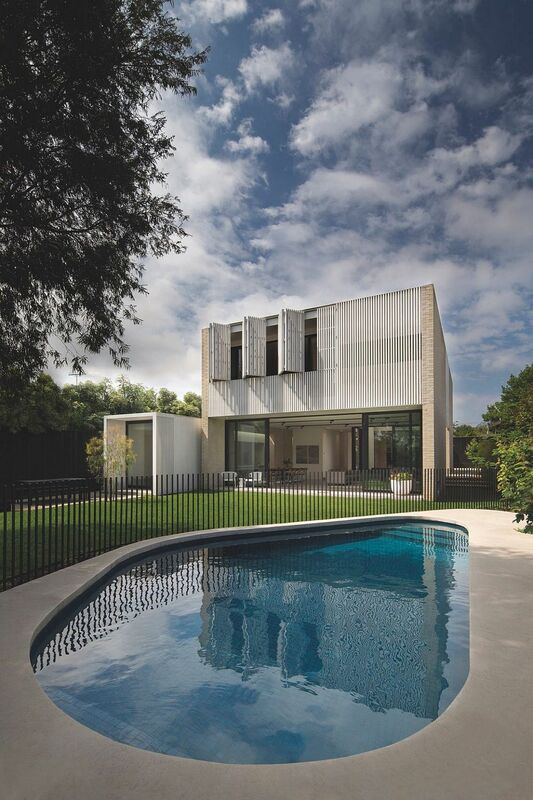 Nestled on a lot that shares its boundaries with nearly a dozen other homes, this stylish Aussie residence was designed by Jackson Clements Burrows to offer a balance between complete privacy and smart outdoor living spaces depending on the time of the day and the purpose of the room. 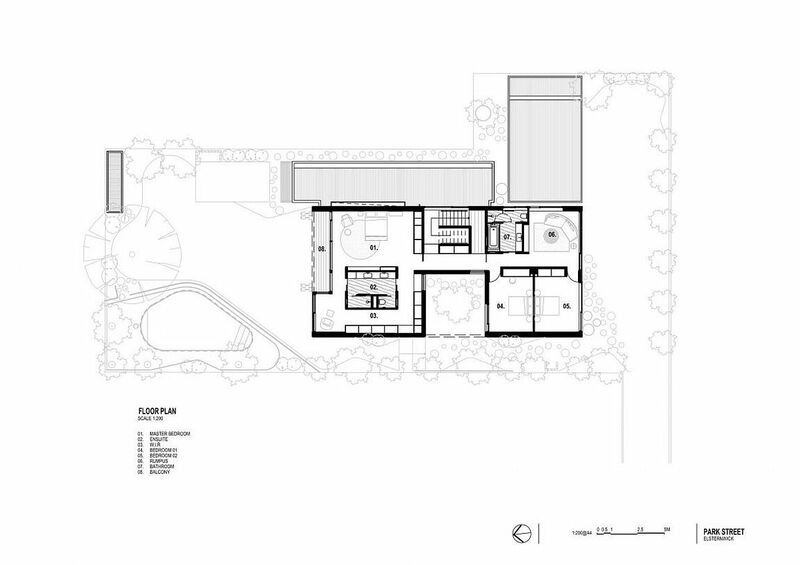 A series of gardens, courtyards and rooms create the lower level of the house that contains the living spaces with the top floor holding the bedrooms. 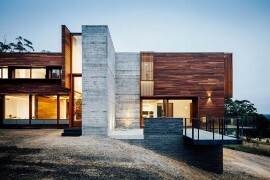 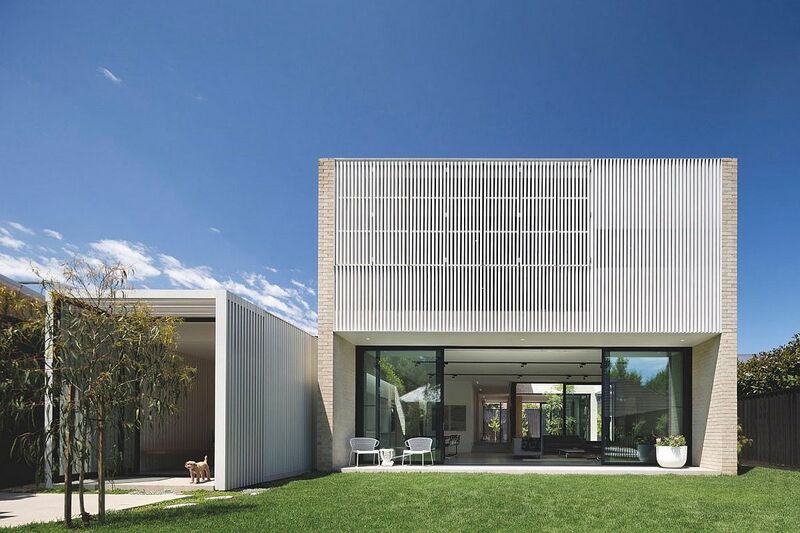 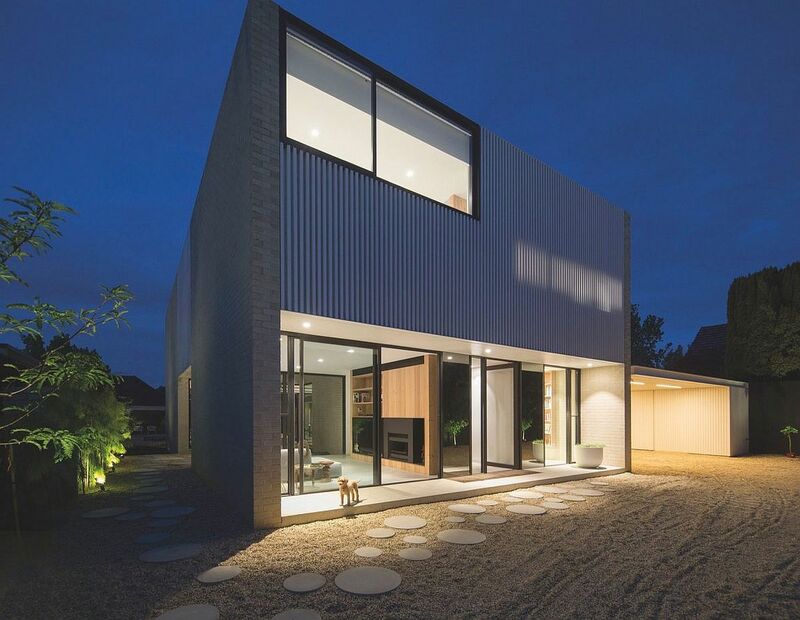 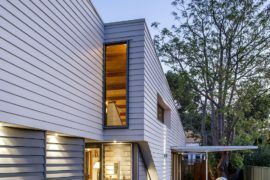 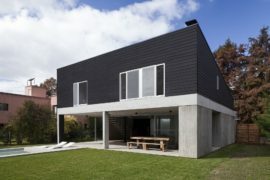 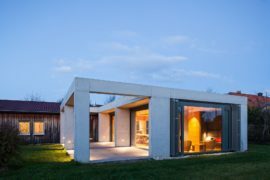 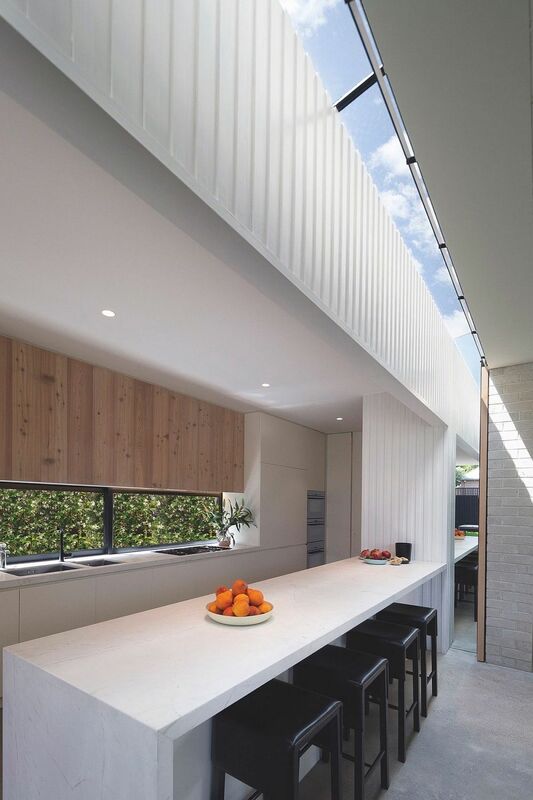 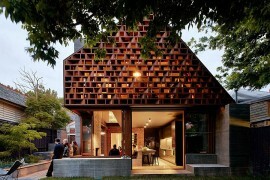 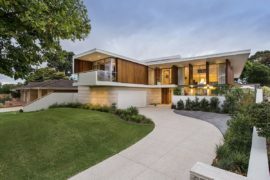 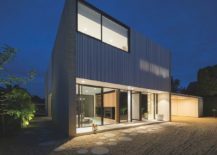 It is white stained cladding that gives the house a unique façade and also filters in sunlight without completely opening up the home. 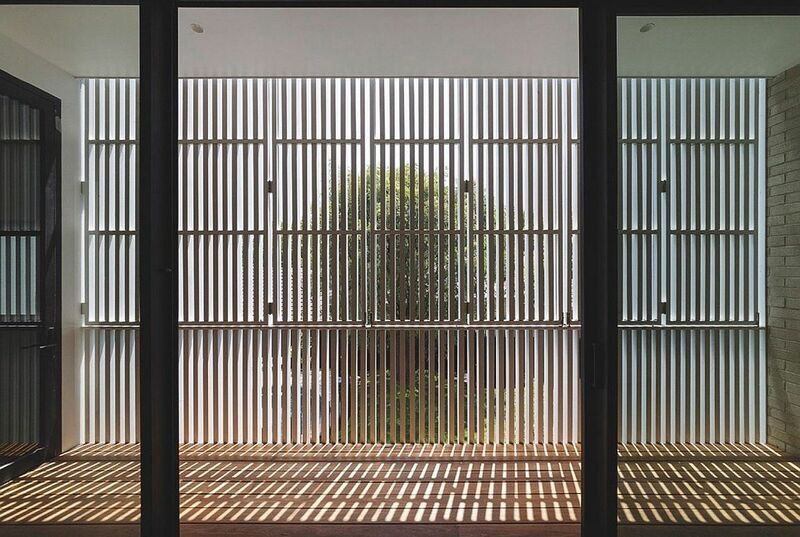 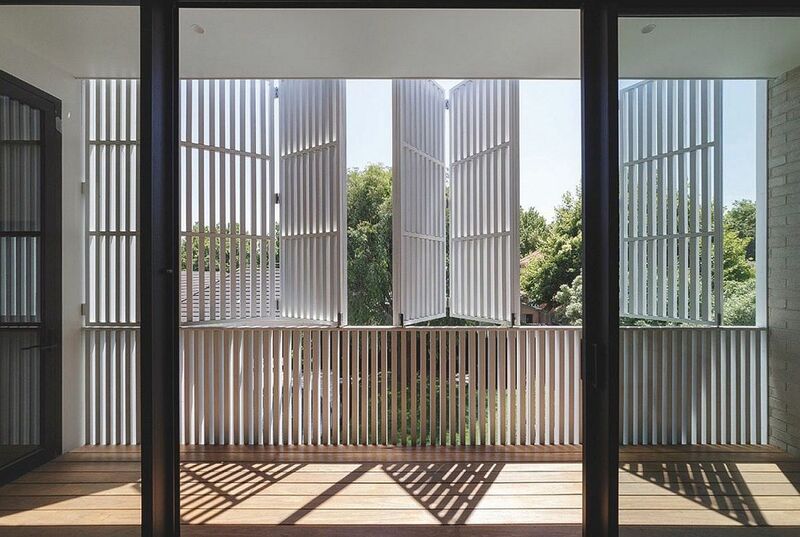 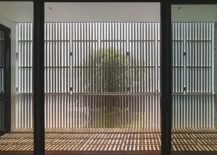 Folding doors with wooden slats on the top level further the allow the homeowners to switch between ample privacy and controlled views with ease even as the small gardens on the lower level create a cheerful and refreshing atmosphere indoors. 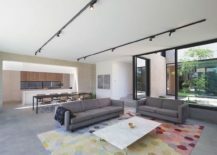 An open living area with an unassuming contemporary style and neutral color scheme welcome you indoors.